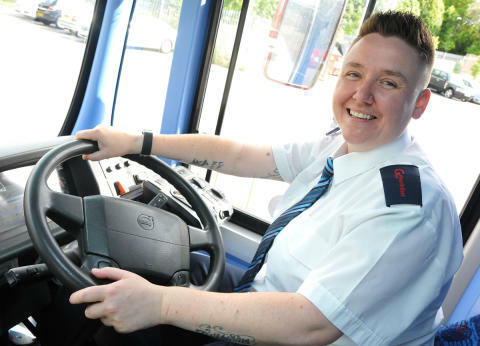 The company operates within the public transport industry, which historically has had a high proportion of male employees. The management team has put measures in place to improve gender representation, but Go North East recognises that more needs to be done to ensure than men and women are equally represented and rewarded. Median pay for men is 4.4% higher than that of women, compared to the national average of 18.4%. Mean pay for men is 6.9% higher than that of women. Median bonus pay is 61.7% higher for women, while mean bonus pay for women is 5.3% higher than that of men. Among male employees, 1.8% receive a bonus. Among female employees, the proportion receiving a bonus is 3%. In Go North East the median gender pay gap is 4.4% (or 48p) which is substantially lower than the 18.4% national average. The median bonus pay gap shows a variance of 61.7% (or £1,450) in favour of women. Although a smaller number of women receive a bonus compared to men, the results can be ascribed to the women who receive a bonus are in upper and upper middle pay quartiles. Go North East is a part of Go-Ahead Group, which has established a group-wide action plan to address and improve gender diversity.